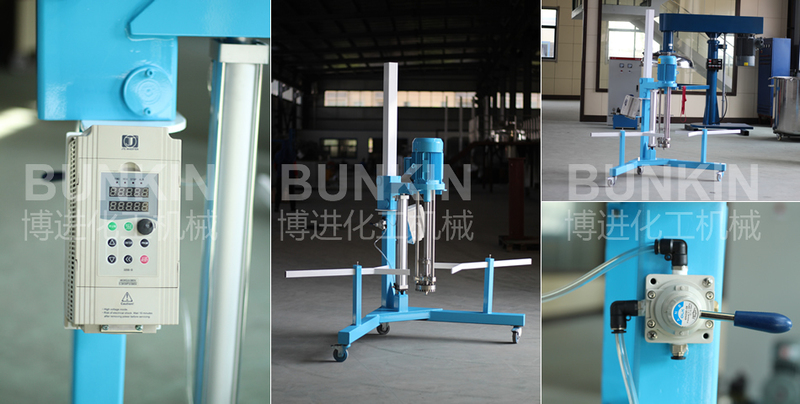 High Shear Mixer(pneumatic lifting)_Anhui Bunkin Chemical Machinery Co.,LTD. 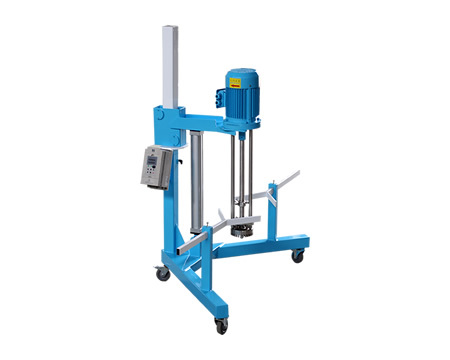 Batch Pneumatic Lifting High Shear Mixer fixed on various containers batch high shear emulsifying machine, it can be made into a closed vacuum type, kettle and other equipment used together to achieve automated production systems. It's working capacity is generally between 20-300L. It suitable for emulsifying, homogenizing and dispersing materials in industries, such as biology, pharmacy, food, cosmetic, ink and pesticides etc. All mixers can be lift up and down by pneumatic and mix with the mobile vessel.